In this fascinating study, in words and images, Pradeep Chakravarthy and Vikram Sathyanathan narrate the cultural history of Thanjavur—starting from its early days of grandeur during the Chola Empire when the Chola ruler Raja Raja I built the Rajarajeswaram temple, now known as the Brihadeeswara temple, which celebrates its booth year of consecration in 2010. They weave together known and unknown histories of the various rulers—the Cholas, the Nayaks, the Marathas and the British— and of the Big Temple into a rich tapestry of cultural heritage that is Thanjavur. They reveal to the readers the treasure house of the Sarasvati Mahal Library and lead them into the narrow lanes, or saudhus, where the painters who created the now famous Thanjavur style lived beside bangle- sellers, textile merchants, perfumers and the devadasis. They invite the reader on a long trip on the fertile river bank of Kaveri where Carnatic music and Bharatanatyam as we know them today were created and flourished alongside drama forms like the bhagavatha mela and yakshagana. The temples, the palace, the bronzes, the paintings, the frescoes, the cuisine, the weapons of war and ivory dolls, the kalamkaris, and literary genres like the abhyudayamus, the praband hams and the kuravanjis—they are all brushstrokes that make up a colourful painting, which tells the story of the city of Thanjavur. Pradeep Chakravarthy was born in Tirunelveli in 1975. He completed his education in Madras, New Delhi and London and works in leadership training in a premier information technology company. He has published more than a hundred articles in leading dailies. A series of articles on the Sarasvati Mahal Library was the beginning of his tryst with Thanjavur. 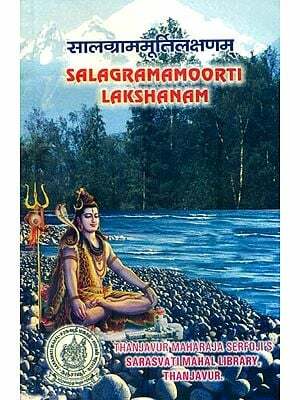 His other books in press include one on temple vahanas and another on the lesser known temples in Tamil Nadu. Pradeep’s other interests include aquariums, Carnatic music and gardening. Pradeep and his wife Anusha live in Madras with their son Raghavan. Vikram Sathyanathan was born in Coimbatore in 1976. He has a Masters in Business Administration from Richmond College, UK. Vikram is an entrepreneur who manages a family business and runs a company with interests in the chemical industry. Besides photography Vikram is involved in several related pursuits. Nature and wildlife conservation are two of his important hobbies. Vikram and his wife Sandhyaa live in Coimbatore with their son Prahalad. I am delighted to write the foreword for Pradeep Chakravarthy and Vikram Sathyanathan’s book on the cultural history of Thanjavur. There was a time when 1 had the option to choose between my own professional ambitions and fulfill the position my forefathers had. it was not very difficult for me to choose the latter and today, living in the palace of Thanjavur that has its foundations in the Nayak times, 1 am the custodian of eighty-eight temples of the palace Devasthanam along with the government, and of the many Chathrams or rest houses that my family built and funded in the past. A distinguishing feature of my family, the Nayaks, and indeed the Cholas before them was an enthusiasm and respect for the culture of the land and its people they ruled. Tolerance in every aspect was encouraged, the greatest literary works written by my ancestors were invariably in languages other than Marathi and our devotion to Hinduism did not eclipse our contributions to the Muslims and the Christians. I think this blessing of tolerance coupled with the bounty of the Kaveri that promised an easy life was pivotal in Thanjavur becoming the cradle of arts. Each passing day brings with it a new set of challenges that attempt to undermine our effort to preserve and popularise Thanjavur’s culture. In some way or the other, we still find a method to overcome them to the best of our ability. The path is surely not strewn with roses since in preserving the heritage of Thanjavur we still involve only a small section of the population. 1 am often asked what keeps me going and my answer is simple and consistent: if] do not do it today when 1 have a choice to see the old and the new, my children will be bereft of the choice, they will be forced to only see the new around them and see the old in faded black-and-white photographs. Pradeep and Vikram’s book is a creditable achievement. Much has been written about Thanjavur’s contributions to the arts. This book, to my knowledge, is the first that ties all the threads together. The book will paint an image of the context in which the buildings and artefacts must be seen. This book chronicles the substantial cultural traditions of painting, music, dance-drama and the crafts in Thanjavur when it was ruled by the Cholas and then the Nayaks and the Marathas in the seventeenth and eighteenth centuries. Literature in Thanjavur was closely allied to music and almost always intended to be danced or enacted. With the best dancers and actors at their command, the court seemed to be content with this tradition. We do not have any records of fiction and poetry of that age that were not meant for acting or dancing. Therefore the story of literature is woven into the accounts on music, dance and drama. With the growing power of the British, Thanjavur was, without any bloodshed, absorbed into British India in 1855. Soon, as wealth and business began to shift to Madras, so did the artists who followed their patrons. What remained in Thanjavur was the priceless knowledge of the halcyon days, preserved in the several thousand manuscripts in the Sarasvati Mahal Library and in the memories of the inhabitants. The book draws substantially from these valuable manuscripts and memories, many of which have been printed in English for the first time. The court, and the wealthy landlords of the fields watered by the Kaveri River, practised the art of fine living. Even today, in the Tamil culture one is told to look at the Tanjorean to learn how to live a fine life as well as to spend money. This made Thanjavur and its surrounding areas a veritable playground for artisans. The act of folding a betel leaf with various condiments to chew on while talking of past glory and present gossip with subtle sarcasm, an appreciation of the arts, an enthusiasm for the finer things in life—these, in the oral traditions of the Tamil country, are the attributes of Thanjavur that make it synonymous with good taste. The penultimate chapter in this book attempts to chronicle the state of these crafts today. The appendices are significant additions to knowledge. The various streets within the fort have been listed and little known facts recorded. The treasures of the Sarasvati Mahal have been discussed. The short notes on Thanjavur cuisine and coins will also be of interest. Today, for most people, Thanjavur evokes images of the ‘big’ temple, paintings and possibly the Kaveri River flanked by unending fields, planted with emerald-hued rice crops, waving to a light breeze. 1 hope this book will get them to see beyond this and hopefully expand on the knowledge presented here with many more outcomes of research. These will serve as a catalyst for taking heritage and conservation to greater heights so that our children will own their past with a sense of pride.